Talks tough on concluding leases with property companies boasting significant BEE credentials. The Department of Public Works is cracking down on property companies that are not committed to Broad-Based Black Economic Empowerment (B-BBEE), saying it would only sign government leases with property companies that have favourable empowerment credentials. Speaking at the South African Institute of Black Property Practitioners (SAIBPP) Convention, Minister of Public Works Nathi Nhleko said the department would sign government leases with property companies who have a more than 10% black-ownership. Over the last ten years, SA’s commercial property sector has criticised the government for not procuring services from emerging black property companies with lease agreements. Nhleko said government lease terms would depend on a company’s level of black ownership/shareholding. He said property companies who are 50.1% black owned and controlled would be awarded lease terms of more than five years. Property companies with less than 20% black ownership and control would qualify for leases with the government that don’t exceed three years, said Nhleko. These measures are expected to address the slow pace of transformation in the property sector since the democratic dispensation in 1994. Nhleko said a new policy on doing business with transformed property companies was accelerated during the department’s 2016/17 financial year. “For the last two decades, the property sector has delivered massive growth [in terms of returns]. Although black people are a significant economic force, whose contribution to the business expansion of the property sector is far-reaching, the benefit of black-owned enterprises has been limited,” said Nhleko. The department is a large tenant for the property sector, occupying 92 500 properties across SA and spends more than R4 billion on leases annually. It has also come under fire in recent years for not using its lease agreements prowess and awarding leases to black-owned and managed companies to fast-track BBBEE. The statistics from the Property Sector Transformation Charter support this view. On a yearly basis, the PSCC conducts research into listed property’s performance on transformation. The sample in its 2015-2016 research includes listed property companies and their BEE scorecards are measured against ownership, management control, employment equity, skills development, preferential procurement, enterprise development, socioeconomic development and economic development. See results below. 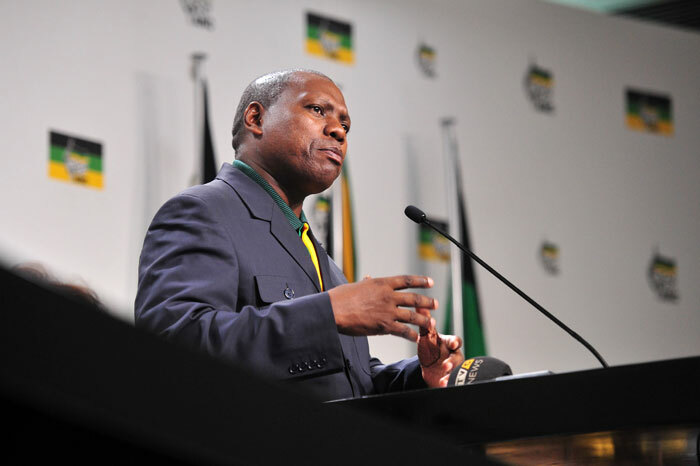 ANC Treasurer General Zweli Mkhize said SA’s commercial property sector is worth R5.8 trillion, but black property owners only occupy 13% of the industry. About only 10% of government leases are held by black-owned and controlled property companies. However, government leases are not everyone’s cup of tea. On the JSE’s more than R300 billion worth sector with 52-odd listed companies, only Rebosis Property Fund and Delta Property Fund have significant property portfolios with the government as a tenant. The government, as a tenant, has been accused of paying rent too late and not willing to pay rentals that don’t match the level that private tenants usually pay – hence why property companies prefer having retail and industrial tenants.